Where we live, flora abounds. We live five minutes from the Great Smoky Mountains National Park, an international biosphere. They say there are more species of flowers blooming in the Park than in all of Europe combined. That’s a lot of pollen. 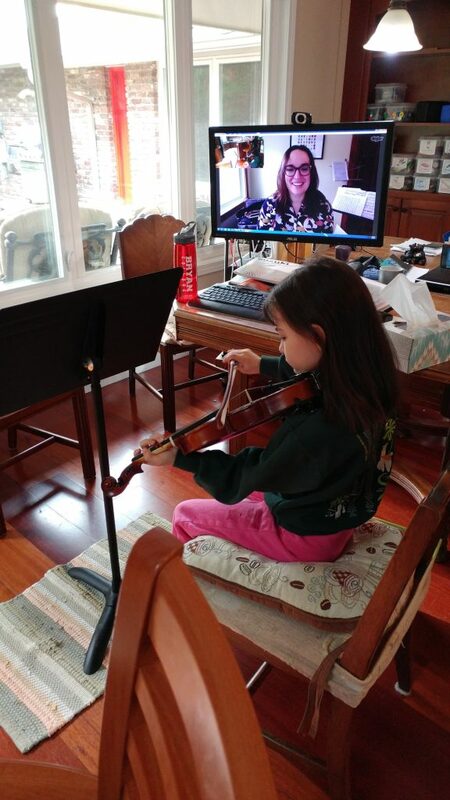 My daughter plays a piece by heart for her violin teacher, via Skype.